SEKEM Group continues on its sustainable development path by significantly contributing to the ‘National Employment Pact’ (NEP) – an initiative of the Egyptian German Business Community in cooperation with the AHK (German-Arab Chamber of Industry and Commerce), the German Federal Government and GIZ (German association on international cooperation). During an executive business breakfast, Helmy Abouleish, Managing Director of SEKEM Group, pledged to create 200 jobs within the NEP framework to fight the current economic crisis and dire employment situation in post-revolutionary Egypt. SEKEM group thereby continues its employment policy which puts human development to the front. SEKEM Group sees human development at the core to overcome the current economic crisis. Having a job and having a source of income is essential for living a decent life. SEKEM Group already provides around 2000 jobs and, due to its sustainable approach, was able to keep almost all of them despite the negative economic impact of the Egyptian revolution. The growing unemployment of youth is the focal point of the challenges faced by the country. 2 million young Egyptians are currently without work - and this trend is rapidly increasing. Additionally there are great difficulties to connect motivated unemployed people to existing jobs. The ‘National Employment Pact’ (NEP) is initiated to help answer these challenges. Helmy Abouleish, Managing Director of SEKEM Group, recognizes this: “We are facing a difficult employment situation in Egypt, especially for the young people. SEKEM is doing its share to ease this situation by participating in the ‘National Employment Pact’ with 200 new jobs”. With the NEP, the Egyptian German Business Community in Egypt in collaboration with the AHK, the German Federal Government and GIZ is starting an initiative with a pragmatic, direct and high impact on framework conditions to help answer this economic challenge. The aim is to provide 5000 jobs from companies that show corporate social responsibility by providing employee-friendly working conditions. The NEP is intended not only to be a political gesture but a credible mid- and long-term contribution to foster employment by setting up an ‘Employment Center’. Human Resources experts will be hired to collect job offers and orient job seekers to facilitate an effective matchmaking process. 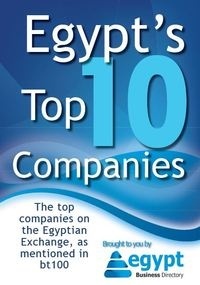 Egyptian and German companies are cooperating and contributing to this noble cause out of their commitment to Egypt. This initiative serves as a reference model for the setup of similar employment centers throughout Egypt.